We've all been in the situation. Walking through Boots and Superdrug, heading straight for the Collection stand to find yet again.. the Lasting Perfection Concealer in shade 1 is out of stock. I even had acquaintances who work in said shops on the lookout! However, I decided enough is enough and after months of disappointment it was time to move on and try something new. Something that always seems in stock and raved about is the Rimmel Wake Me Up Concealer so I thought I'd pop one in my basket to fill the concealer void. Here's how I got on. I've been a big fan of Rimmel for a while but what put me off trying this concealer was it's foundation companion. If I remember correctly it had a sort of glittery sheen to it which lets face it, no one needs that on their spots. Thankfully I was pleasantly surprised at the glitter free finish. The concealer itself is a little more on the warm tone, perfect for cancelling out blue tones which trouble my under eye areas and those dark acne scars. Compared to the Collection concealer, I find the formula much lighter in coverage. Great for under eye blending but doesn't quite give the right amount of coverage on dark marks, I find they still show through despite layering on the product. Overall, I think it's a great concealer. I wish it was a little bit heavier in coverage enough to cover my blemishes but I do like the fact that it seems to work effortlessly with my foundation rather than sitting on top of it. 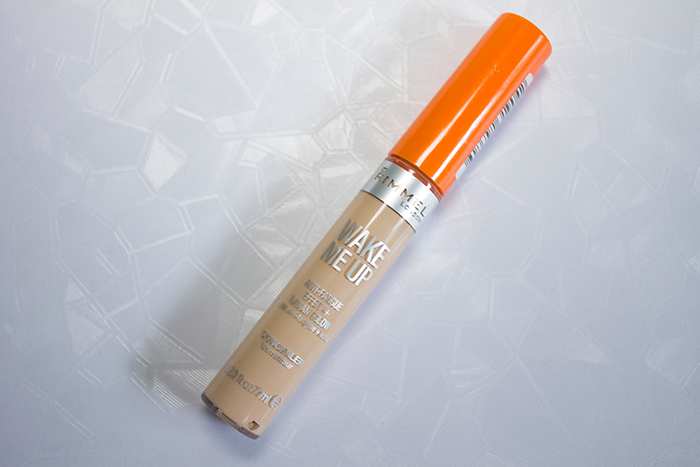 If Collection's concealer is nowhere to be found, give this one a go.